The Weekly Top Five features the five biggest HPC stories of the week, condensed for your reading pleasure. This week, we cover Durham University’s newest “Cosmology Machine”; NetApp’s Engenio acquisition; the 2010 ACM Turing Award winner; SGI’s ArcFiniti storage archive; and an MRAM data storage advance worthy of patenting. Durham University’s renowned Institute for Computational Cosmology (ICC) is now home to a powerful new server and storage cluster. The fourth generation “Cosmology machine,” aka COSMA4, will enable researchers to perform fine-grained simulations of the Universe, leading to greater knowledge of galaxies, stars and planets. A team of 20 cosmology researchers make up the cluster’s main user base, although there are 100 registered users in total. The server and storage cluster features 220 IBM iDataPlex servers and eight IBM DS3500 storage devices. With 25 teraflops of computing power, the COSMA4 is seven times faster than its predecessor, COSMA3, and 50 times faster than COSMA2, now decommissioned. The cluster was designed to be powerful but eco-friendly. It is currently running at 91 percent efficiency, as measured by the Linpack benchmark, and has an energy-efficiency rating of 400 megaflops per watt of energy consumed, equivalent to a 19th place ranking on the most recent Green500 list. To illustrate the machine’s green credentials, it uses about the same power as COSMA2, despite being many times faster. NetApp has announced an agreement to purchase the Engenio external storage systems business of LSI Corporation for $480 million in cash. NetApp officials believe they can extract profit from the Engenio line in emerging markets such as video and high performance computing applications. If all goes as planned, the deal will be closed in 60 days. According to the official announcement, the transaction will be reflected on NetApp’s earnings statement by the end of the second quarter of its 2012 fiscal year. As part of the deal, NetApp will keep the Engenio engineering team. The Engenio business unit will be folded into NetApp’s business functions under the direction of Manish Goel, executive vice president of NetApp Product Operations. The NetApp and Engenio sales teams will be merged. For additional coverage of this story, check out HPCwire Editor Michael Feldman’s in-depth analysis. 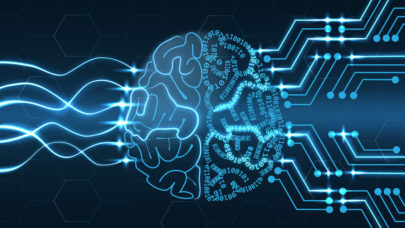 An innovator in machine learning, Valiant has made numerous important contributions to the field of artificial intelligence, including natural language processing, handwriting recognition, and computer vision. He has also developed models for parallel and distributed computing and is currently working on the forefront of computational neuroscience. Valiant even helped create the technology behind IBM’s Watson computer, which achieved a win on the popular Jeopardy quiz show last month, when it took part in an exhibition match against two champion human players. “Leslie Valiant’s accomplishments over the last 30 years have provided the theoretical basis for progress in artificial intelligence and led to extraordinary achievements in machine learning,” remarked ACM President Alain Chesnais. “His profound vision in computer science, mathematics, and cognitive theory have been combined with other techniques to build modern forms of machine learning and communication, like IBM’s ‘Watson’ computing system, that have enabled computing systems to rival a human’s ability to answer questions,” Chesnais added. The Turing Award, named after British mathematician Alan M. Turing, carries a $250,000 honorarium, sponsored by Intel Corporation and Google Inc.
SGI debuted its AcrFiniti archive storage solution this week, which the company is marketing as “a fully integrated disk-based solution that targets the exploding problem of unstructured, file-based data sprawl.” The release comes one year after SGI acquired the COPAN MAID technology and marks the company’s second set of enhancements. According to SGI officials, ArcFiniti is available in five configurations, ranging from 156 TB to 1.4 PB of usable archive capacity. At the high-end, a single 1.4 PB rack represents as much data as 20 years of HD-TV video or 10 billion photos on Facebook. All files are always network-accessible. Researchers at Physikalisch-Technische Bundesanstalt (PTB), Germany’s national metrology institute, have invented a super-fast MRAM data storage mechanism. Magnetic Random Access Memories (MRAM) are the most important new modules on the market of computer storage devices. Like the well known USB-sticks, they store information into static memory, but MRAM offer short access times and unlimited writing properties. Commercial MRAMs have been on the market since 2005. They are, however, still slower than the competitors they have among the volatile storage media. PTB researchers have created a speedier MRAM, employing a special chip connection to reduce response times from 2 ns to below 500 ps. Using real-world data rates, that’s like going from 400 MBit up to 2 GBit. The European patent is being granted this spring, while the US patent was granted in 2010. The researchers are currently looking for an industrial partner to take on development and manufacturing responsibilities.